Mr. Peter O’Malley was born in December 12, 1937 and graduated from the University of Pennsylvania in 1961 and became an employee of the Los Angeles Dodgers (Dodgertown) in 1962. He was appointed Director & Vice President in 1967 and President in 1970, later serving as President and Owner until he sold the team in 1998. His first trip to Japan was in October 1956. He traveled with his parents for the 1956 Dodgers Goodwill Tour to Japan. The Dodgers played 19 games throughout the country. Mr. O’Malley recalls the Japanese players’ good manners, generous attitude towards fans and warm attitude towards everybody, welcoming all with smiles. This strong impression sparked his interest in Japan, and “friendship, mutual understanding and goodwill” have become his key values in life. He says these values made the Los Angeles Dodgers baseball team beloved by local fans and helped him build good relationships with Japanese friends. 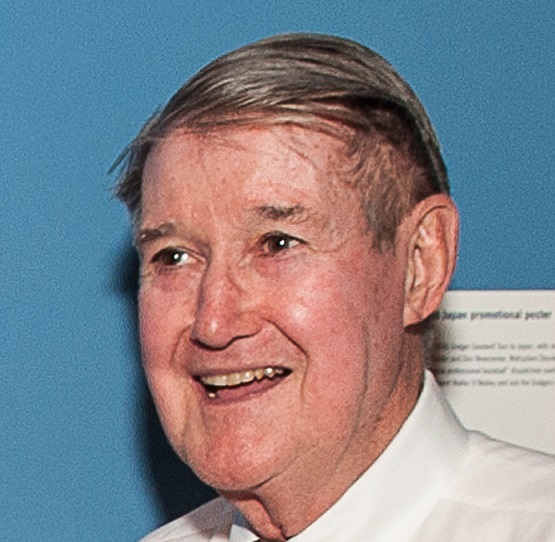 Mr. O’Malley contributed to promoting friendly relations through baseball between Japan and the United States by inviting not only many professional baseball players, coaches and managers, but also amateurs such as little league, high school and college baseball players from Japan to Dodgertown in Vero Beach, Florida, and Dodger Stadium in Los Angeles. They had the opportunity to learn the substance of Major League Baseball during his time as President and Owner of the Los Angeles Dodgers. Mr. O’Malley has visited Japan approximately 85 times, developing good friendships with people in the Japanese baseball world and has contributed to promoting friendly relations between the two countries. In considering how to develop friendly relations with people in Japanese communities in Los Angeles, he succeeded by signing pitcher Hideo Nomo who became the first Japanese-born player from Japan in thirty years to play in the major leagues. This resulted in attracting many Japanese and Japanese Americans to the baseball field not only from throughout the United States, but also from Japan. His contribution to Japan continued after he sold the team in 1998. He established the Akihiro “Ike” Ikuhara and Peter O’Malley Memorial Sports Management Class at Waseda University in May 2003. He addressed the first class at Waseda on “The Challenges and Opportunities Facing Major League Baseball” and sponsored the eleven subsequent classes held through 2009. Mr. Minoru Tonai was born on February 6, 1929, on Terminal Island in Los Angeles Harbor, where approximately 3,000 Japanese immigrant fisherman lived, supporting businesses and their families. In 1934 he lived for eight months in Japan, and in 1936, the Tonai family moved across the channel to San Pedro. As a youth, Mr. Tonai studied kendo as well as Japanese, first at a Japanese language school on Terminal Island and later at Compton Gakuen. At the onset of World War II, his father was jailed as a community business leader. In May 1942, like all Japanese on the West coast, Mr. Tonai and his family were incarcerated, first at the Santa Anita Racetrack and in September they were shipped to Amache War Relocation Center in Colorado. After the war, he returned to Los Angeles where he graduated from high school, and then entered the workforce to earn his college expenses. He eventually enrolled at the University of California, Los Angeles (UCLA), leaving after 1 ½ years to work again, but was drafted by the Army in 1950 with the start of the Korean War. As a Combat Medic, he was first sent with his infantry division to northern Japan to protect Japan from possible invasion by Russia and North Korea. In February 1952, his division was sent to battle in Korea and finally came home where he was discharged in November. He enrolled at Los Angeles City College under the GI Bill, then returned to UCLA, earning his B.S. in Business Administration in 1955. He began his career as an auditor at a local accounting firm and later went on to build his career in finance and management at high tech companies, retiring in 1987. Beginning with fundraising for his alma mater, UCLA, Mr. Tonai has actively participated in many Japanese community organizations through fundraising, spreading the beauty of the Japanese arts and the empowerment of Japanese Americans. He has served as President of the Amache Historical Society since 1978 and President of the Terminal Islanders since 2012, and was Chairman of the Terminal Island Memorial Monument Committee when the monument was dedicated in 2002. 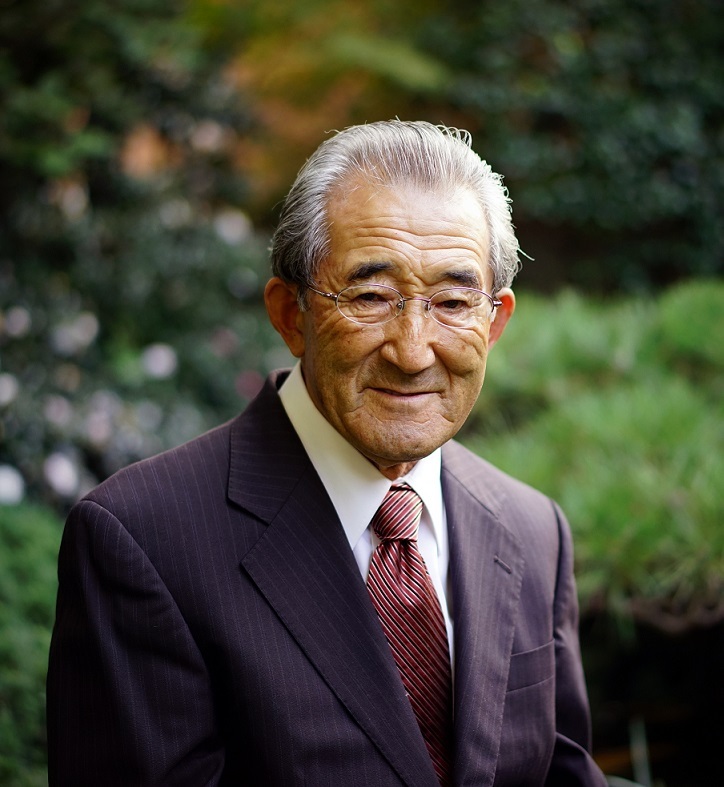 He is actively involved as Board Member and Past President of the Japanese American Korean War Veterans, and Advisor to the Nanka Wakayama Kenjinkai and the Esumi Sonjinkai and is on the Wakayama Kenjinkai Scholarship Committee. Mr. Tonai served as President and Board Member for many years of the Omotesenke Domonkai Southern California Region and currently serves as Advisor. He also served for over 30 years as Board Member and Chairman of the Japanese American Cultural and Community Center, and was Board Member of the Japanese American National Museum, Asia America Symphony Association, UCLA Foundation, Nikkei Bruins, and other UCLA organizations. Mr. Shinkichi Koyama was born on December 7th, 1934 in Nihonmatsu City, Fukusima Prefecture, Japan. After graduating from high school, he began his career helping his father’s sporting goods store. He came to the U.S. to visit his grandmother and mother, owners of a boarding house in West Los Angeles, in 1959, returning to Japan a year later to marry his wife and begin his career at a brokerage firm in Tokyo. In May of 1968, Mr. Koyama was able to immigrate to the United States with his family. After helping the boarding house for a few months, he decided to become a gardener and began his training, gaining independence in 1970. Ever since, he has had clients in the greater Los Angeles area and continues to work energetically 4 days a week to this day. In December 2009, Mr. Koyama was awarded the Green-White Achievement Award by the Agricultural Committee of Japan for his efforts in agricultural development and Japan-U.S. friendship over the years. After immigrating to the United States and beginning his career as a gardener at 33 years old, Mr. Koyama has overcome many hardships and obstacles, all the while participating in various Japanese American organizations and greatly contributing to the development of the local Japanese American community. As an organization to which many who became gardeners after the war belonged to, the Southern California Gardeners’ Federation provides support for their members as well as contributes to community welfare and Mr. Koyama has served as President for three years, from 2006 to 2008 and lends his efforts to the historical preservation of the organization to this day. In addition, he has also served as President of the Nanka Fukushima Kenjinkai and as chief editor, he and his wife put much effort in information gathering and editing of the 100th Anniversary Memorial Book in 2008, resulting in a Lifetime Achievement Award from the Fukushima Prefecture Governor at the time. 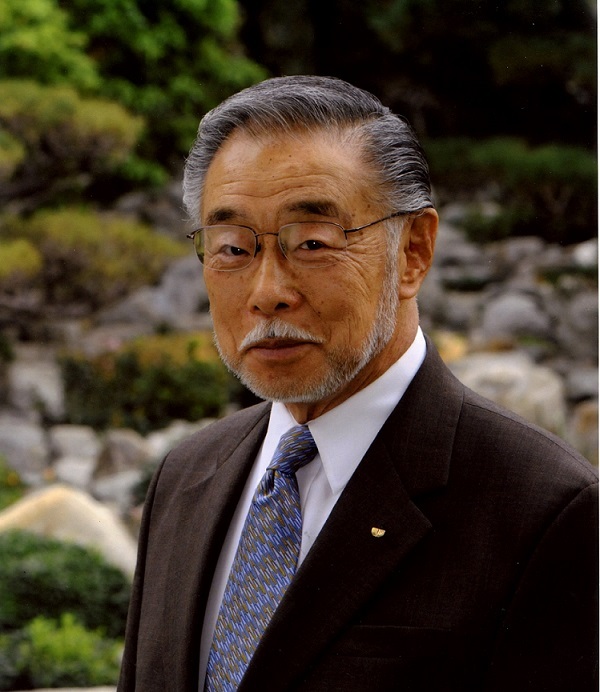 Mr. Koyama has also served as Chairman of the Board of Directors at the Japanese Institute of Sawtelle and President of the Bay Cities Gardeners Association and in 2014, served as President of the Showakai, continuing his contributions to the Japanese American community. In 2014, Mr. Koyama received the Commendation of the Consul General of Japan in Los Angeles in recognition of his achievements. © Consulate General of Japan in Los Angeles. All rights reserved.